Chase Brink was born June 6th, 1998 with muscular dystrophy. From the day he was born, it was clear that Chase was going to be as active as possible, in spite of his physical challenges. Chase had big dreams, and no disability was going to keep him from accomplishing them. At an early age, Chase was introduced to adaptive sports. Immediately, he fell in love with being an athlete and wanted to try every sport possible. By the time he was in high school, Chase had participated in everything from hand cycling to tennis, rugby to swimming, softball to track & field. But there were two sports that he loved most of all – sled hockey and wheelchair basketball. 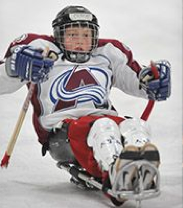 With extreme determination and tenacity, Chase practiced hard at both sports, earning himself a spot on both the Colorado Avalanche Little Avs sled hockey team and the Junior Rolling Nuggets wheelchair basketball team. Chase always dreamed of some day getting the chance to play at the highest level of either sport and possibly compete for his country in the Paralympic Games. But Chase also loved to give back. At every practice he could be found working with the younger athletes on his team. He enjoyed being able to help teach the next generation of players just as much as he enjoyed playing himself. Chase and several of his teammates dreamed of the day when they could start their own foundation to help provide other children with physical disabilities the opportunity to participate in adaptive sports. On May 10th, 2014, Chase passed away due to complications from his disability, but his dream will live on. 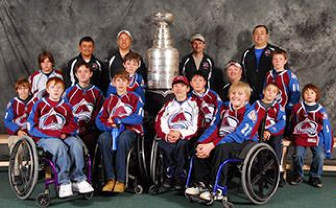 The Colorado Adaptive Sports Foundation, along with Robynne Hill (one of Chase’s closest friends and his teammate on the Little Avs) has developed the “Chase Your Dreams Fund” to honor the remarkable life Chase Brink led. The fund will help provide a variety of opportunities to people with physical disabilities. Once a year the Chase Your Dreams Committee will meet to review applications and grant funds. Chase Your Dreams will provide funding for such things as adaptive sports equipment, training expenses, and competition-related expenses, as well as educational advancement. If someone with a physical disability has a dream, the Chase Your Dreams Fund can help make that dream come a reality. But we need your help. Please consider donating at least $10 in Chase’s memory to help dreams come true. Donation is simple, just click on the button and follow the instructions. 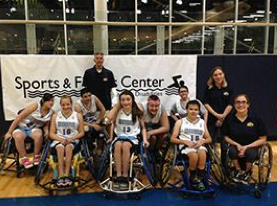 Thank you for making a donation to Colorado Adaptive Sports Foundation “Chase Your Dreams Fund”. Your contribution will provide physical disabled athletes the opportunity to participate in adaptive team sports programs.